Sweden Take A Break Holidays Swedish holiday parks and homes. Sweden is the largest country on the Scandinavian peninsula. It borders Norway to the west and north and Finland to the northeast. 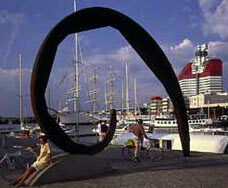 Accommodation selection for you of 41 in Malmo.for your Swedish Holiday. Swedish Food & What You Should Eat in Sweden. Heading to Stockholm or Gothenburg & Wondering What You Should Eat in Sweden? Well here we give you the best of Scandinavian and Swedish Cuisine. What you should eat & drink in Sweden. Northern beauty for your Swedish Holiday. W hy go on holiday to Sweden? There is much more to Sweden than Abba, Volvos and tennis players. It’s heaven for outdoor types with beautiful coastal inlets, islands, forests and lakes complete with 10,000 km of trekking and bicycle paths.There are more than 25,000 Iron Age graveyards and 1,140 prehistoric fortresses as well as numerous castles and museums.Stockholm is one of Europe’s most beautiful cities and the surrounding archipelago has more than 24,000 islands to explore. 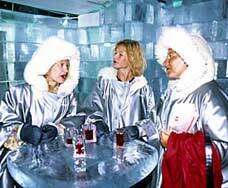 At the northern extreme you’ll find Lapland, with reindeer, seals and Santa.How much does it cost? At the time of writing, discount return flights from London go from £100. Three-night city breaks cost around £290. A boat from Newcastle will cost in the region of £150.When should I go for that Swedish Holiday? What should I do when I’m there on that Swedish Holiday? Both Gothenburg and Stockholm make great city breaks, offering culture, relaxation, good (if expensive) food, museums and parks.When tired of historic towns and villages, churches and castles, you can go skating, skiing, hiking, canoeing and fishing.You can boat around the hundreds of islands, stay in summer cabins and swim in the crystal-clear waters. Or head into the Arctic Circle to experience midnight sun and the totally different Sami culture.The young at heart can go to see Santa and his elves.What’s worth a visit when on that Swedish Holiday? Stockholm stretches over 14 islands.Make sure you see Gamla Stan’s medieval maze of lanes, arches and stairways and the splendid Royal Palace. Sala, an old silver mining town, has lovely wooden bridges crossing waterways that powered the mines.Fascinating Birka is a fully excavated Viking trading centre on Bjorko Island in Lake Malaren. Lund, Sweden’s oldest town, will delight with its cathedral and Kulturen Museum.Vadstena on Lake Vattern has a Renaissance castle and 15th-century abbey.Gothenburg’s wide boulevards, magnificent harbour, impressive Ostindiska Huset archaeological museum, and Konstmuseet’s collection of European masters make for a great visit.Where else is there to go for that Swedish Holiday? Other historic towns include Uppsala, with a Gothic cathedral and intact old town, Sigtuna, Ystad, Kalmar, Linkoping and Eksjo.The biggest and most famous rune stone is found at the church at Rok in the Rokstenen area around Vadstena.Cycling is good way to see this flat region.Smaland’s forested country is famous for glass production – take a trip to a factory and then visit the wooden town of Eksjo. For the best winter sports head for the area around Lake Siljan and Dalaven River – the ancient birthplace of Swedish culture.Where’s good in the midnight sun? At the summer solstice Swedes seriously celebrate: Gotaland and Oland islands are the favourite party spots. Oland’s capital, Borgholm, is pleasant, whilst Eketrop fortified village is fantastic and you’ll find windmills around Sandvik. On Gotland visit the fairytale medieval walled town of Visby and the Forstal museum to see pre-Viking pieces and historical reconstructions. Further afield, Jokkmokk, just north of the Arctic Circle, is the centre of Sami culture. In Stockholm, head for Kungsgatan, near the city centre, which is packed with bars, restaurants and cafes. In Gothenburg visit the opera or head for the main thoroughfares for bars.In Uppsala follow the students to the popular krog restaurants around Sysslomansgatan and in the university quarter, for cheap meals and good live music.What’s the food like?Fish is big with Swedes, pickled herring being a particular favourite, and the potato is everywhere. Meatballs are a famed national dish and are often the lunchtime special in cafes and restaurants.Only very weak beer is widely available in Sweden.Stronger ales, wines and spirits have to be bought from the state monopoly Systembolaget, with limited opening hours and deliberately high prices. Queues can be very long, especially nearing the weekend.What should I buy? Sami handicrafts, especially from the winter fair in Jokkmokk in early February.Look for the Duodji label on knives, textiles and trinkets. Glass, vessels, vases and ornaments in the Smaland region, where you can buy directly from local factories.Wood or pewter objects aren’t cheap but are quality. The Dalarna painted wooden horse is a typical product – you can buy them in most places or visit the workshops in Mora.What is there for children to do? The Swedish Travel and Tourism Council, 5 Upper Montague Street, London, W1H 2AG. Tel. 00800 3080 3080. Take A Break Holidays takeabreakholidays, Sweden Accommodation. San Francisco De Asis, Urb Marina, San Fulgencio, 03177, Alicante, Spain.